Pune 01 Aug 2017 (PCP NEWS) : Armed Forces Tribunal (AFT) Military Court Bench comprising Justice Virendra Singh and Lieutenant General Sanjeev Langer, on a plea filed by Officer commander S S Luthra, said in their judgment that “This is manifest and clearly evident that vice-admiral Pradeep Chatterjee has interfered in a mala fide and unjustified manner in the confidential records of commander Luthra,”. 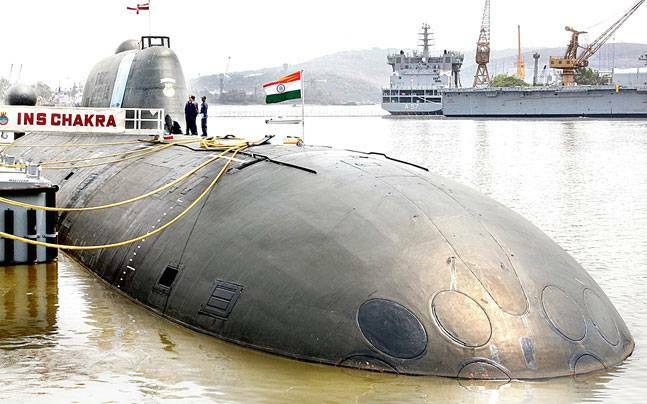 The Armed Forces Tribunal in a case wherein a father-in-law sabotaged the career of a nuclear submarine specialist officer to promote his son-in-law, a military court reprimanded the Navy for allowing such nepotism and slapped a fine of Rs 5 lakh on the vice admiral who did this. The Military Court in their judgement further mentioned that, “This is manifest and clearly evident that vice-Admiral Pradeep Chatterjee has interfered in a malafide and unjustified manner in the confidential records of commander Luthra,” “It is equally apparent to us that the profile of capt A V Agashe has been positively affected and enhanced in an unjustified manner by his father-in-law,” the Bench added. The AFT took a strong view against the Navy’s in-activeness in allowing the nepotism to grow saying, “It is disturbing and surprising that the Indian Navy does not have an in-built system to ensure such probable occurrence between relatives are addressed institutionally, so that such a situation, as occurred in this case, does not manifest.” The AFT “struck down” entries made by Chatterjee in Luthra’s service record and asked the Navy to reconsider him for promotion to the rank of captain from the date when he was due to be considered for elevation. The court said though Luthra has, of his own volition, already proceeded on premature retirement (PMR) and if he is approved for promotion, the officer will be granted his rank from the original date of his batch, and will be entitled to full pension and all terminal benefits in his enhanced rank. Officer commander S S Luthra, in his plea, had alleged that Chatterjee was the senior reviewing officer (SRO) for officers serving in both INS Chakra and INS Arihant from 2010-12 as the inspector-general, nuclear safety, the officer in-charge for securing nuclear submarines and secret projects of the force. It was alleged that, Chatterjee manipulated the naval system in such a way that he has been either reviewing officer or senior reviewing officer for his own son-in-law on various occasions. Due to this, other officers who were being considered in the same promotion board as his son-in-law stood at a disadvantage, the petition alleged. On Luthra’s exit from service, the court noted that the officer rather than serving superseded by others, has chosen to proceed on premature retirement. Seeking to compensate the officer, the court slapped a cost on the vice-admiral, saying “He shall pay an amount of Rs 5 lakh as costs to the applicant, which is directed to be deposited with the principal registrar of this Tribunal within three months of the order.” On Agashe, who benefited as son-in-law of the vice-admiral, the court did not interfere in his promotion but asked the Navy to keep the inflated ACRs in mind while considering him for elevation to the next rank.